We’re back! After a lengthy layoff, Conor Donnelly, Pearse Corcoran and Ryan McCluskey return to behind the mics for the remainder of the championship. 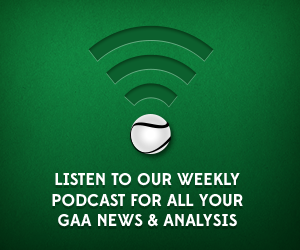 In this show Ryan McCluskey, with the help of Conor and Pearse, looks back at Fermanagh’s championship run which saw the Ulster side reach the last eight. We also talk about the media’s reaction to the game, in particular Jim McGuinness’ article outlining how disturbed he was with the Fermanagh supporters’ reaction to the defeat. Something that Ryan has particular issue with.